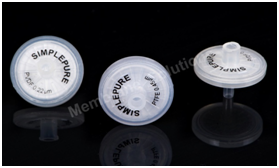 MS®4mm diameter syringe filter is specially designed for less-than-1ml sample filtration and features extra low hold-up volume (<10μl) to ensure maximal sample recovery. It consists of housing and membrane component. Housing is made of medical grade PP raw material. 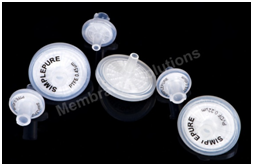 Membrane is available in Nylon, PTFE, PVDF and so on. Pure raw material eliminates extractables to ensure excellent results. By mature manufacturing skills, 4mm diameter syringe filters are produced with high quality and cost-effectiveness in 100000 clean room under strict QC and QA procedures. All of them are ISO9000 and HPLC certified.